Now that the Vancouver Canucks are the lone Canadian team left in the NHL playoffs, after the Montreal Canadiens lost to the Boston Bruins, all eyes will be on Nashville. On the eve of Friday's Royal Wedding between Prince William and Kate Middleton at Westminster Abbey, hockey fans will be watching the Canucks take on the Nashville Predators. According to Miss 604, a popular blogger in Vancouver, there's even a battle of bloggers going on between the two cities. 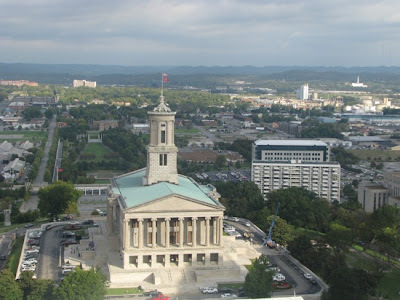 I visited Music City for the first time in 2009, and even though I'm not a huge listener of country western music, I was pretty smitten with the city. It's got heart 'n soul and is a whole lot of fun. I'm admittedly not a hockey fan, maybe because Seattle doesn't have an NHL team, so I'm a bit out of the loop on who the teams are. But I was surprised to see that in addition to the legendary Grand Ole Opry, Nashville has a hockey team named the Predators. At the time, the Predators played at Sommet Center, now known as Bridgestone Arena, and just a few guitar picks away from the Country Music Hall of Fame and Museum. On the outside of the arena was a huge poster that read, Welcome to Smashville. The Predators even have their own song, aptly called Smashville. Vancouver's first two matches against the Predators are played at home on April 28 and 30 at Rogers Arena. On May 3 and 5, it's off to Nashville, and Game 5 is back in Vancouver on May 7. Games 5-6 are TBD.